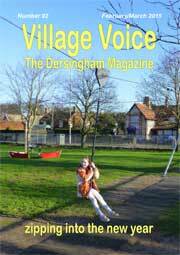 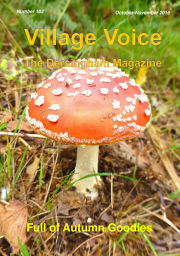 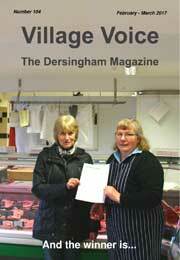 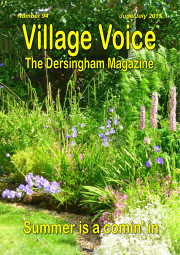 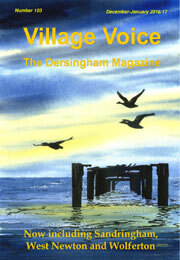 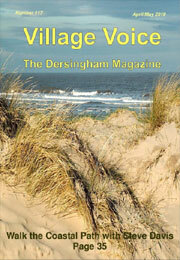 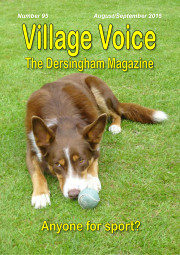 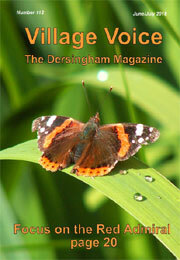 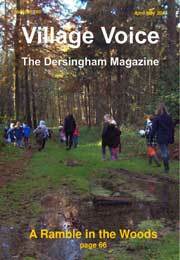 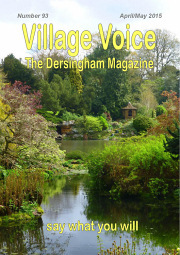 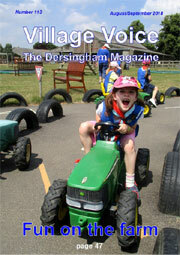 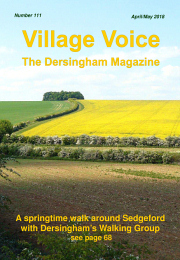 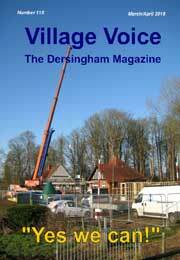 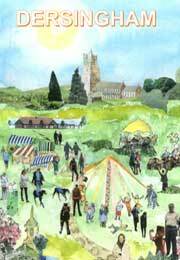 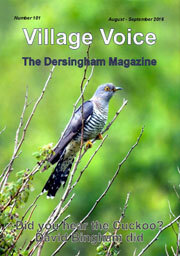 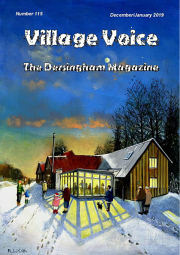 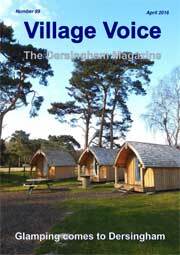 Village Voice is the full-colour, bi-monthly magazine of Dersingham Parish Council which is distributed free to all 2,500 homes and premises in the village. 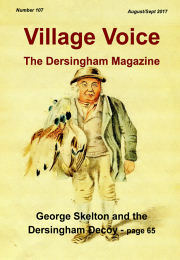 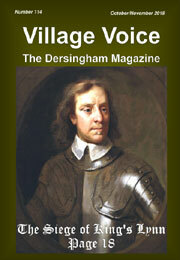 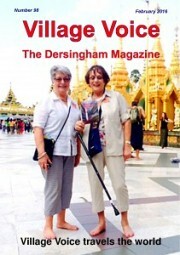 Dersingham Data is an annual compendium of village information which was originally a separate publication but is now a supplement in Village Voice. 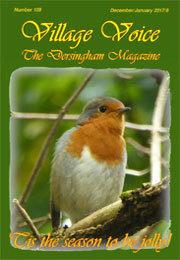 To advertise in the magazine see the information from the link below. 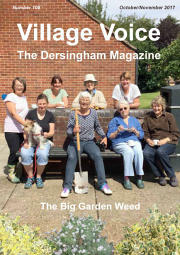 If you would like to contribute to Village Voice, or even just write a letter, you can contact the editiorial team by emailing villagevoice@dersingham.org.uk or get in touch with the Parish Council office. 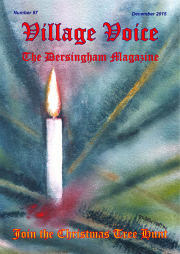 See the details at the foot of the page. 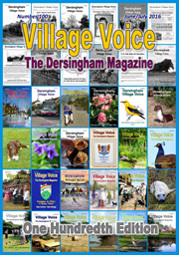 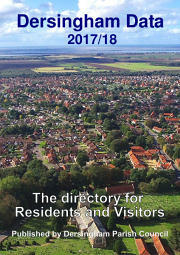 Dersingham Data is published annually and contains listings of all local services, clubs, organisations etc together with much other useful information about the village. 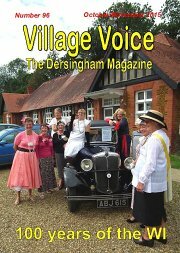 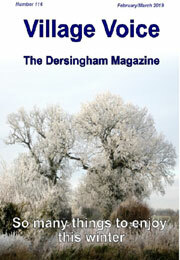 If you want to have a listing in the magazine or amend an existing one you can email data@dersingham.org.uk or contact the Parish office.